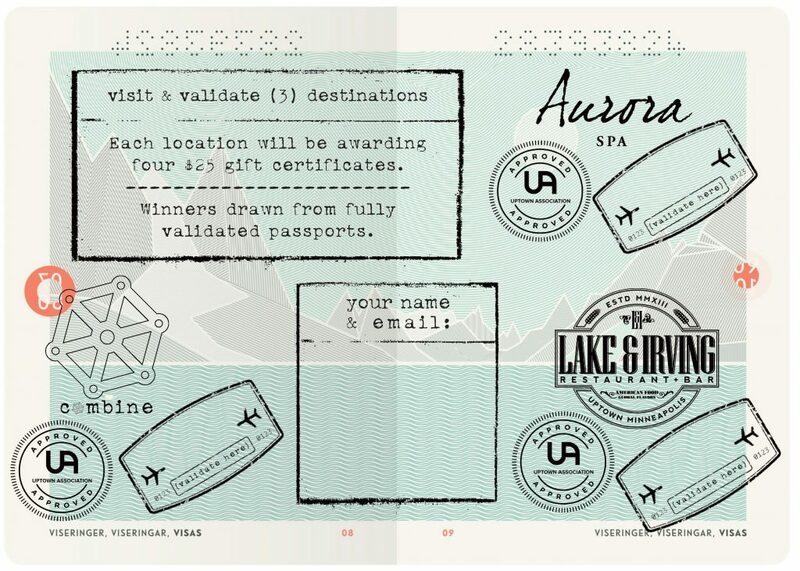 Get your passport stamped at these three amazing Uptown Minneapolis businesses, to be one of the 12 winners entered into a drawing to win $25 gift certificates at combine, Lake & Irving or Aurora Spa! All passports available at combine, Aurora Spa and Lake & Irving. No purchase necessary. Passports good through April 1-30, 2019. One passport per participant for entry. All passports due by May 1. Winner to be notified via email by 5/17.